Calling All Investors, Great Opportunity to purchase this Diamond in the Rough, located in a very desirable location. This home Sits on a Huge 10,251 square foot Lot and is Priced to Sell! 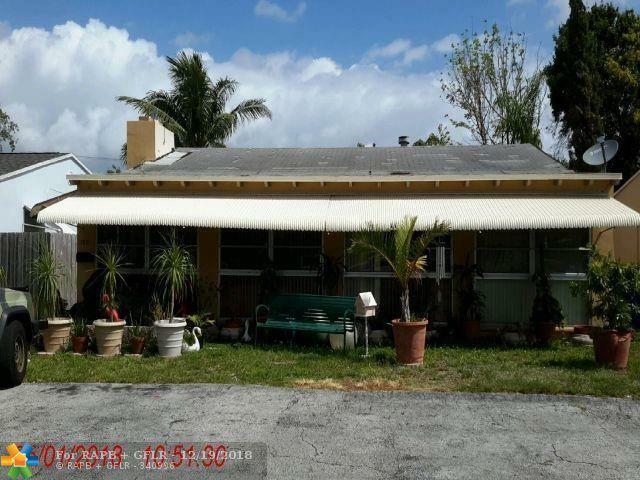 The home is very spacious and has great potential however it Needs complete updating. The main house contains two Bedrooms and One Bathroom, the Master Bedroom is Huge!! The Unit in the back contains one Bedroom with one Bath. The two units are separated by a Huge Covered Area which could be easy enclosed to create additional living space in both units. or combined for a SUPER LARGE HOME. Excellent Location a short walk to Booming Downtown Hollywood & a short Drive to the Beach. Currently Tenant Occupied, GENERATE INCOME while Approving your Renovation Plans. Opportunities like this are to find! !